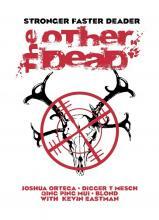 Today, I review the first installment of IDW's The Other Dead. This comic is brought to you by co-creator's comic's veteran Joshua Ortega and Art Asylum co-founder Digger T. Mesch, with art by Qing Ping Mui, colors by Blond, and with creative consulting by indie comics legend Kevin Eastman. Additionally, this comic is based on a film treatment by Digger T. Mesch. The premise of The Other Dead is that something is causing dead animals to be reanimated in Southern Louisiana. We see these events unfolding primarily around one dysfunctional family. I don't want to give away any hints the story gives as to why they're coming back, but it does have some subtleties to it so keep your eyes peeled! We are only a few weeks away from the biggest geek party on the east coast, New York Comic Con!!! While the con is fun, there are always fun opps happening around town. Plus, after a long day on lines, don't ya just want a drink? Here is our ever-expanding list of all the cool off-site events for your pleasure. Keep checking back because we will be updating it to the very last seconds! If you know of a party/event that is happening but missing from our list, feel free to let us know! Email us at insertgeekhere AT gmail DOT com. Kick off NYCC with fans of Game of Thrones for Fire and Lunch's 2nd Annual MootCon! Join other Game of Thrones fans for a few drinks. Trade theories, argue about when GRRM will finish Winds of Winter and make a few toasts to Jon Snow! Event is open to all and it is free. No NYCC ticket required. And if that doesn’t sound awesome enough, we will be raffling off some cool prizes too! New York Comic Con's official beer -- the Brooklyn Defender, brewed together with Brooklyn Brewey -- will be taking down skunked beer across NYC during the NYCC Pint Night series. Take home a limited edition Brooklyn Defender pint glass when you do your part to Defend Beer (while supplies last). You don’t need to RSVP for these events, but NYCC does recommend showing up early to get your paws on these limited edition glasses! [as]central and Toonami Faithful are planning a NYCC meetup. We're planning to meet up at Junior's in Midtown, but we want to see who actually will be attending before we nail down a reservation. We promise much conversation about [adult swim] and Toonami, as well as some swank prizes, courtesy of [adult swim]. Depth Of Field Magazine is proud, humble, excited, and a maybe even a little giddy to bring you VANISHING POINTS -- two nights of panel discussions, signings, and revelry with an incredible array of artists, publishers, musicians, and other folks who love and are influenced by comics. Dynamite Entertainment & The Beat kick NYCC off with a big bang on Thursday, October 10! Come join comics’ greatest creators and Be Counted as a member of the Comic Book Legal Defense Fund at the Smithfield in the heart of NYC! This party is free for all CBLDF members, and if you join or renew at the event you’ll get in for free and receive special gifts from Dynamite & CBLDF! Donors joining or renewing their CBLDF Membership at the $50 level or higher will receive a free open bar wristband, while supplies last! 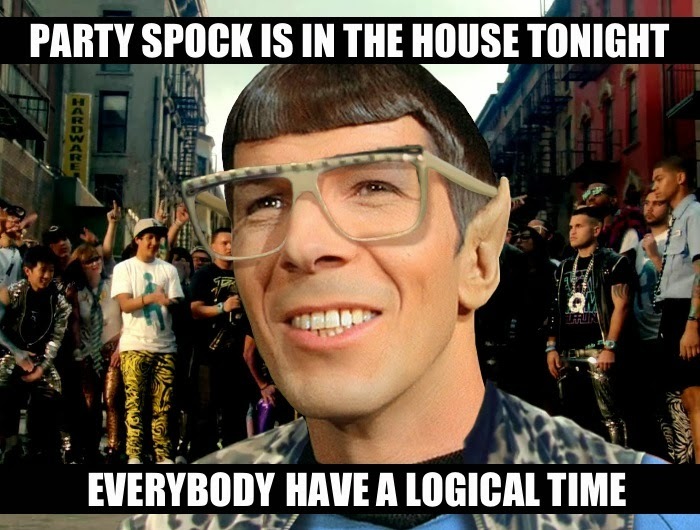 THE MARY SUE’S NEW YORK COMIC CON PARTY! - THIS EVENT IS SOLD OUT!!! KEVIN SMITH'S FATMAN ON BATMAN LIVE! Kickoff New York City Comic Con with SModCo podcast FATMAN ON BATMAN! with special guests AMC's Comic Book Men Bryan Johnson, Walter Flanagan, Ming Chen, and Michael Zapcic. Just in time for New York Comic Con, Wasted Cinema will be showing Adam West's 1966 Batman at our favorite Midtown bad movie night bar, Legends, on Friday October 12. At Wasted Cinema, we do more than just watch awesomely bad movies. You're encouraged to interact and take part in our "toastworthy moments" - movie cues that tell you when to drink along with the absurdity on screen. Movie themed-cocktails and drink specials should add to your enjoyment of this already thoroughly enjoyable film. Plus a live Twitter stream where you can share your commentary, Batman trivia and a raffle to win awesome prizes. A full dinner menu is also available. So come early to get a seat, find old friends, make new ones and sharpen up your wit before the movie starts. The Ghouligans! and Parade Grounds invite you to their New York Comic Con / "My Valentine" music video release party! Come hang out with The Ghouligans! in Brooklyn as they host a hometown monster mash-up celebration! Along with friends and co-host Parade Grounds where they will unveil their brand new music video for "My Valentine". SONICBOOMBOX NYCC AFTERPARTY - THIS EVENT IS SOLD OUT!!! Kick off your NYCC weekend with our big afterparty -- drinks, cosplay, music, videogames, giveaways and more! Dances of Vice will be celebrating the golden age of pulp science fiction at this New York Comic Con afterparty featuring live music by Morricone Youth, DJs, and scifi costume giveaways by Singularity & Co Books! Followed by a special "Dance on Mars" Disko Nouveaux set from 1:00 AM – 4:00 AM! Depth Of Field Magazine is proud, humble, excited, and maniacally happy to bring you VANISHING POINTS -- two nights of panel discussions, signings, and revelry with an incredible array of artists, publishers, musicians, and other folks who love and are influenced by comics. THE METAVERSE - THE OFFICIALLY UN-OFFICIAL COMIC CON AFTER PARTY! Have a great Comic Con and looking to Cosplay and rage into the night? Or maybe you couldn't get into NYCC this year (SOLD OUT!?) but still want to show off that great new Costume outfit you made? Well, our dorky-yet-awesomely dressed friends, you don't have to be left out! Get ready for 3 different costume theme party rooms, 6 DJ's, 3 Live Bands, A Lightsaber show, and Nerdy Burlesque, ALL at THE METAVERSE Comic Con After Party! Costume Themes you say?!?! SCI-FI, SUPER HEROES, and STEAMPUNK, with THOUSANDS of dollars in Prizes in our costume contest!!! Shiny.... Open Bar with VIPS and Zombies Galore! Dorothy wouldn't want to go home from this, Toto. NY SciFi & Fantasy (www.NYSciFi.com) has reserved the entire 2nd floor of Harley's Smokeshack (formerly the Irish Rogue)! Unwind after Saturday's Comic Con at Harley's Smokeshack (formerly the Irish Rogue), less than 20 minute WALK away! Sponsored by Jerry's Artarama, Action Lab Entertainment and JHU Comic books cordially invite you to join us as we launch Jamal Igle's graphic album series, Molly Danger. Geeks OUT is proud to host SNIKT 2, a queer geek dance party on Saturday night during New York Comic Con! Celebrate being a proud queer geek and dance the night away with your new friends from the Con! DJ Big Ragoo will be spinning your favorite songs throughout the night, great drink specials and awesome people! Remember, you're the best at what you do, and what you do is CUT UP THE DANCE FLOOR. The NYC Zombie Crawl is back for its 7th annual lurch around Manhattan on Sunday, October 13th! Expect the usual zombie shenanigans sponsored by Pabst Blue Ribbon with great drink specials! This year we're heading uptown with a crawl through Times Square and an afterparty for NY Comic Con! The party starts at 4pm only three blocks from Comic Con and will all culminate in a blood fueled after party at Culture Club (20 W 39th St btwn 5th and 6th ave) at 8:30pm with the 'Night of the Stripping Dead' stage show featuring some of the hottest undead burlesque performers in the world as well as live music, sideshow performances and more! The NYC Zombie Crawl will begin at 4pm at neighboring bars Twins Pub and McGarry's Pub (9th Ave Btwn 33rd and 34th St, NYC)with our usual FREE zombie meet-up! You must be 21+ to enter the bar and for 2 and 1/2 hours, zombies are invited to hang out while our zombie technicians will be providing makeup for civilians who wish to become undead for a small fee (starting at $5). We'll have free Video Game sampling stations from YAIBA: NINJA GAIDEN Z - the new Zombie Ninja game! We'll also be giving away tickets for the 5K Zombie Run, RUN FOR YOUR LIVES which hits Brooklyn on October 26th! 8:30pm - 7th Annual NYC Zombie Afterparty at CULTURE CLUB presents 'Night of the Stripping Dead'! Scott Snyder and Greg Capullo will be the guests-of-honor at a Q&A and signing for BATMAN VOL. 3: DEATH OF THE FAMILY. So yes, I've joined the Dredd Sequel fan campaign. And no, I'm not referring to a sequel of Stallone 90's turn at Judge Dredd. Please forget that ever happened. This campaign is for the film released in 2012 starring Karl Urban. And today, Sept. 18th, Dredd fans are being called to a Day of Action! When I got the email about the fan campaign, I admit my first thought was "pfff. That movie went nowhere at the box office so it probably sucked liked the first one. " Plus, I haven't read a lot of Judge Dredd comics. Then I promptly forgot about it......until I was going through Netflix and found it. So I figured why not? Today I'll be reviewing Paul Pope's Battling Boy put out by First Second Books. I've really liked what I've seen from First Second so I was excited to finally be reviewing something they put out. Additionally, I was excited to finally read something from Paul Pope. Full disclosure, prior to reading this I was fairly unfamiliar with Paul Pope's work. I've seen his work before and I knew he was very talented, but I had just not gotten around to reading one of his works. There are a lot of authors I still want to get around to reading. It wasn't that he was even low on my list; for whatever reason it just didn't happen until now. I also have not watched Game of Thrones or Breaking Bad yet. Again, not because they're low on my list. I'm sure when I finally watch them I'll enjoy them, but it hasn't happened yet. That right, we have been around for three whole years! It's kinda crazy to think it has been three years when only yesterday Wysefyre and I were sitting down and working on that first post. So long ago and yet it was almost yesterday. Like every year, our anniversary is a precursor to NYCC, and we shall be there! Which means another con in a bag, so keep that in mind when you send us suggestions! [insertgeekhere] has been a blast to be a part of and I speak for the whole [IGH] fam when I say we can't wait to see what we come up with next!